0% Interest Free Dental Finance Plan arranged while you wait... What could be simpler? Spread the cost of your treatment over months or years. At Lane Ends Dental Practice we listen to your wishes of having healthy mouth and beautiful lasting smiles. We very much appreciate that investing in your dental well-being is an important decision. At the same time we understand that the financial considerations can sometimes be an obstacle to you having the treatment you want which is why we offer a range of professional instalment options including 0% interest free plans to make your treatment as affordable as possible. We can arrange instalments to make the cost of treatment more manageable and offer an alternative to paying the total up-front. Finance is available subject to terms and conditions. We understand that it is important to be transparent when it comes to cost. For this reason we offer a full price breakdown (including any preparatory treatment and follow-up care) for every client, which will be available to patients before they decide to go ahead with treatment. By doing this we aim to avoid any surprise costs and enable you to budget effectively and consider your dental finance options. Our dedicated team of dental hygienists and therapists can give you advice on gum health, home care and can show you how to take special care of your teeth. They will also provide thorough teeth cleaning so you can feel confident in your smile. They will ensure their patients feel at ease every step of the way, which is ideal if you are a nervous patient. Our Advanced teeth whitening procedure is a new improved professionally sourced formula, which allows you to safely whiten your teeth in the comfort of your own home. This Formula sourced by cosmetic dental experts contains a safe level of whitening ingredients which lightens and brightens your teeth without creating sensitivity which can occur when using strong bleaches or intense whitening systems. 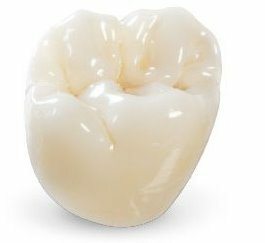 With today’s advances in dental materials, crowns can now be made completely out porcelain without any metal underneath. Porcelain crowns blend in nicely with the tooth and eliminates the noticeable dark metal at the gum line. Teeth with older metal crowns are more susceptible to decay than porcelain crowns because it is easier to keep the gum line cleaner with a porcelain crown. 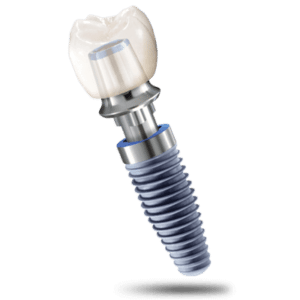 Dental implants are a simple, secure and permanent solution to the problem of failing or missing teeth. They are replacement tooth roots on which we can build a new tooth and are inserted into same position as the missing tooth. They are indistinguishable from natural teeth and provide an alternative to uncomfortable dentures or dental bridges. 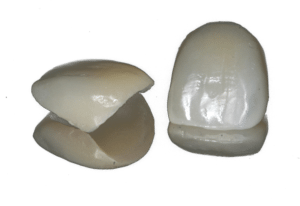 Porcelain Veneers are custom made porcelain that are used to cover the front surface of the tooth. Veneers are extremely versatile and can be used to close gaps, align crowding or protruding teeth, close gaps or whiten discoloured teeth. 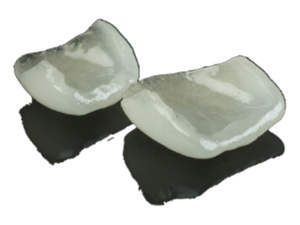 They usually involve very minimal tooth reduction, and are incredibly strong and durable. They have a very natural appearance. 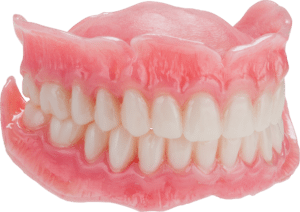 We are proud to provide the ultimate in cosmetic dentures. We understand what really makes a great smile and how to create really natural and pleasing looking dentures. We use the best materials and skilled technicians who have an "artistic eye" in making false teeth look real. A cosmetic denture is a bespoke set of artificial teeth that have been cosmetically enhanced to look and feel like real natural teeth. Spread the cost of dental treatment with interest free credit. Our financing plan is a popular option for patients considering cosmetic dental treatments. It allows you to spread the cost of your treatment over an agreed period that fits within your budget. Spread the cost of your treatment over a suitable period and get the treatment you want – treatment that could change your life. It’s easy to apply and simple to repay by Direct Debit. Outstanding value. No deposit. No interest. Just like everything else these days, the highest-level of dental treatment—that lasts—is expensive. Unfortunately, dental insurance was never meant to cover 100% of dental expenses. State-of-the-art technology. Precision materials. Highly trained porcelain technicians. Dentists logging hours of extra trainings every year. These quality elements top the list for patients who value their oral and general health, patients who seek the kind of care offered at Lane Ends Dental Practice . They know the difference. And since the connection is firmly established between oral health and body health, dental treatment continues to be a wise and important investment we make in ourselves and our well-being. It’s an investment that pays off—with a natural, beautiful smile, pink healthy gum tissue in an infection-free mouth, and perfect normal chewing. 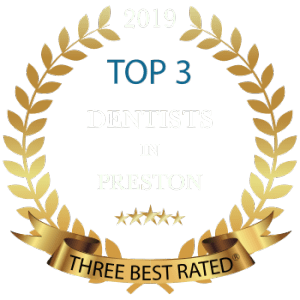 With 2 highly experienced dentists, Lane Ends Dental Practice provides a complete range of general and cosmetic dentistry procedures. Most important of all, we make a strong commitment to the essential link between good oral health and overall body health. Our patients become the most well-informed dental consumers, benefiting from the latest research that has found “what goes on in our mouth affects our entire body.” That’s why we do all we can to keep your mouth in perfect health!